For most of the past decade the last thing I would do before going to bed was to step out on to my back patio and stare up at the sky for a few minutes, checking for clouds. If the skies were clear I always slept better. In the morning, I would hop out of bed and do the same thing, to see if any unexpected weather front had passed or cirrus had snuck in while I had been sleeping. If all was well with the skies, I knew that my robotic telescope 95 miles southeast of me, likely had a successful night scanning the skies, and I was excited to get up and get to my office to see the results. I knew that any clear night we might (and eventually did!) discover something larger than anything else ever seen past Neptune. It was just a matter of time and of keeping those pesky clouds away. Whenever I found anything, I would quickly tell the two other guys working with me on the project, Chad Trujillo at the Gemini Observatory and David Rabinowitz at Yale University, and we would scheme what to do next to learn even more. While clouds would come and go, there was something even more substantial blocking much of our view of the sky: the earth. From our spot at a latitude of 33 degrees north, there were many constellations in the southern hemisphere that we could never see. We would never know if something was flying past the constellation Tucana (the toucan), swimming through the constellation Volans (the flying fish), or disguised with the constellation Chameleon (the, um, chameleon). Five years ago, right after we found Haumea, Eris, and Makemake in quick succession in the northern hemisphere, everyone asked: When are you headed south? It was an obvious thing to do. The northern skies were quickly being exhausted, the southern skies were relatively untouched. Like any good whaler who has successfully depleted his prime hunting grounds, I knew it was time to wait for next breeze to push me over the equator and into the southern seas. But I wasn’t going to go. It’s true that finding more objects was so appealing: each of these largest discoveries beyond Neptune has painted us a unique picture of the early history of the solar system. Finding even a few more would substantially increase our understanding of this otherwise mysterious time period. But for this same reason, I couldn’t take the time to go look for more. Each of the objects that we found was indeed so interesting that I decided that it made more sense to spend the time studying them in detail rather than looking for more. We studied the tiny moons of Eris and Quaoar and Haumea. We developed theories for the unexpected slabs of frozen methane on Makemake and even predicted that we should see the same thing on Quaoar (and we DID!). We went down a rabbit hole with Haumea and found an unexpected world of icy rocks, dancing satellites, and the biggest Humpty Dumpty puzzle known in the solar system. And we spent years trying – and still not yet succeeding – to understand Sedna. Making more discoveries in the southern hemisphere would be fun, but whenever anyone asked, I simply said: I’m not going to do it, but you should. That’s not quite as crazy an idea as you might think. Given the right equipment and a sufficiently obsessive personality, mounting such a telescopic survey is not that hard to figure out how to do. After all, I had never done one until I did the one I did. And I muddled by somehow. I made a few mistakes along the way that I later thought through and fixed, but I always promised anyone who asked that I’d be more than happy to give them more advice than they could ever want. But no one ever took me up on my offer. Still, I had other things to keep me occupied. I was playing with data from the Cassini spacecraft on fog and lake-effect clouds on Titan and teaching a new generation of Caltech undergraduates how to understand such things. I was not going to go south. I didn’t mind if someone else was going to make the discoveries, but I was getting frustrated that no one was going to make the discoveries. With a little discussion I got involved with a group from the Australian National University who were building a fancy new telescope to survey the whole southern skies in what they called the Skymapper project. It was going to be perfect, though the telescope and camera were still under construction, so it would take some time still. Michelle Bannister, a graduate student at ANU, took the project on as her Ph.D. thesis, and, with the beauty of Skype, I have yet to get on an airplane even once for this project. As it turns out, I was not the only person getting antsy. A few months later I got word that another survey in the south was soon to be underway. The survey was going to take place using an old telescope that had been refurbished and an old camera that had been shipped south. The old camera? The same one we had used at Palomar! The survey was being run by my old collaborator David Rabinowitz, who, too, must have tired of no one doing anything. It seemed likely to me that refurbishing an old camera and telescope was going to be faster than building a new one. To get things going even faster, David even hired my recently graduated Ph.D. student Meg Schwamb -- who had been working on the northern survey -- to run the southern survey. It seemed to me that Michelle and I were now in second place, and that David and Meg were going to be the likely winners of the race to the southern hemisphere. We stepped up our efforts to at least make it a fair fight and try to have a chance. Out of nowhere, though, a third group appeared. This group, predictably, now, includes my other old collaborator Chad Trujillo (the group is run by Scott Sheppard out of Carnegie Observatory, who, many years ago, was one of those people to whom I had said: you should do the southern hemisphere; shockingly, people occasionally take my advice!). Scott and Chad are using an existing camera and an existing telescope. Existing cameras and telescopes trump refurbished cameras and telescopes trump still-under-construction cameras and telescopes. I resigned myself to third place. Having a friendly but serious race definitely makes things much more fun, but being the likely third place survey when attempting to discover new objects in the outer solar system is not particularly useful. Once a discovery has been made, everyone else is a has-been. Or perhaps never-was. There is actually no such thing as third place. Unbeknownst to anyone, though, Michelle and I have a secret weapon. While it is true that existing cameras and telescopes are great, they still lose to one thing: existing data. For the past 10 years the Siding Spring Survey has searched for near earth asteroids from the moderately small Upssalla telescope at Siding Spring Observatory in Australia (right next to the new Skymapper telescope being built, in fact). The pictures that the Uppsalla telescope takes night after night have been fabulous for detecting the motion of the occasional fast moving tiny rocks that might someday come slamming into us, but these pictures were never designed for finding the much more slowly moving distant objects that we wanted to see. To the Uppsalla telescope, the things we want to discover are so far away and moving so slowly that they might as well be the stars of the Milky Way. But over the past year Michelle and I have developed a huge software package to go back over 10 years worth of pictures and try to pull out the distant slowly moving objects. The good news? We are potentially back in virtual first place. The bad news? We’re only in first place for a small number of the very brightest objects, and those might not exist. The Upsalla telescope would only be capable of detecting the very brightest of the know objects in the northern part of the outer solar system: Pluto, Eris, Makemake, Haumea, maybe Quaoar and Orcus. So if there is something that bright in the south, we should find it first. The chances, though, are only moderate. Remember, our northern survey could see a good bit of the way south, so the southern survey really only have about 1/3 of the sky to look at, and it is 1/3 of the sky that is somewhat far from the disk of the solar system. So my best guess is that there will be one or zero really bright objects down there. We’ll know the answer before anyone else, but unless the answer is one, rather than zero, no one will particularly care! The one fun thing that I like to ponder as I think about the fresh skies of the southern hemisphere is just how fresh they really are. When we were looking at the northern skies we knew that 70 years ago Clyde Tombaugh had been there first. Sure, we could see things 100 times fainter than Clyde, but we knew that we were unlikely to stumble across anything as bright as, say, Pluto. The southern skies have never even had a Tombaugh. I’ve been spending free moments idly speculating on how bright the brightest slowly moving thing could be in the south that would have escaped detection. 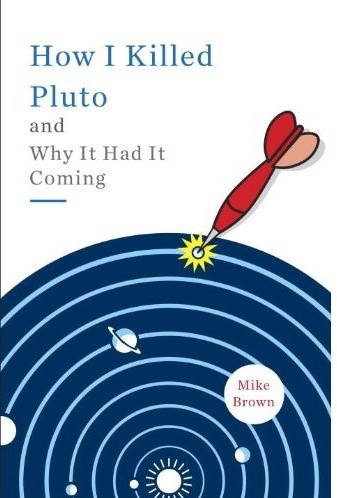 Is there any reason something as bright as Pluto would have been found if it existed in the southern skies? I don’t think so. You could probably even hide something a few times brighter and get away with it. Does this mean something twice the size of Eris is lurking in the southern hemisphere, waiting to be pulled out of the old data? I don’t think so. But it might be. These days I don’t look at the sky last thing before going to bed each night. And I don’t check for clouds first thing in the morning. I do the seemingly much more mundane tasking of picking up my phone from beside my bed, using it to log in to my server on the Caltech campus, checking that all of the processors are humming away sorting through 10 years worth of data, and waiting to see what gets spit out. Is there anything in the old pictures? I don’t yet know, but it’s just a matter of time and keep those pesky computers running smoothly. Good luck! Maybe you can find that next TNO without even having to miss a junior soccer game. What are you using for your software? A commercial package like IDL or Matlab, or something homegrown? We truly live in the future when we can sleep while computers crunch our data. Meanwhile astronomers Alex Parker and K Kavelaars stipulate that the planet Neptune wasn't guilty of shaping the Kuiper Belt... The Nice model of Hal Levison and Alex Morbidelli might need some more squeaking! Suspense! Excitement! Nail biting anticipation! Will the Solar system Change? Or will WE have to? Good luck on the survey :D but of course I'm biased and think no real biggies will be found. Y'all spent a lot of time in Chile, I was wondering how you felt about the dramatic mine rescue and if you've ever cruised by Copiapo or know anything about the area. This will probably be a tourist hotspot and that might interfere with operations. I hope not. "If we can rescue men from 2000 feet below the ground, why can't we teach a gorilla to talk? ", or, "If we can get the Chileans and the Peruvians together, why can't we get the Israelis and Palestinians to stop stealing each other's water?" (Answer: "Because we can"). Thanks for the link. Alex Parker and K. Kaavelars would probably be very pleased to learn that the work I've done with GravitySimulator amply confirms their work. I have flown virtual binaries past Neptune a LOT and they get ripped apart or collide. The Cold Classical belt has not been disturbed by Neptune to any great degree. It could be that Daniel P. Whitmire's "Tyche" is the same object I'm proposing that he found by analyzing the orbits of long period comets. However, his thing could also be a random passing star or brown dwarf or subdwarf and his "Tyche" and the "Nemesis" that so many scientists have proposed could both exist. But I think they're probably the same. I guess I need to come up with my own name, to assume responsibility for my ideas, but I'm stumped. :? I think the Nice model is incorrect. Anyway, thanks for taking the time to post, Phil. Have a nice day. @Mike Brown: Well, I am an IDL has-been as well, though our telescopes are pointed mainly the other way these days (FUV spectroscopy/aeronomy from LEO). I have taught myself to speak a little bit of Python though: Hsssssss. The Uppsala Southern Schmidt telescope has made other discoveries in the past. It was used to find Comet McNaught! "we could see things 100 times fainter than Clyde"
Of course, we all know that this is impressive, because Clyde was pretty dim.